A conditioner that helps reduce flakiness and ease irritation by helping the scalp, while making the hair softer and more conditioned. Australian Tea Tree Oil has been added to ease itchiness, it also has brilliant anti-bacterial and anti-fungicidal properties. Jojoba Oil has been added to the conditioner to add much needed moisture to the scalp and hair. While to help with hydration, frizz control and protection from heat damage Aloe Vera Gel and Sea Algae Extract have been added. Use of this conditioner should assist your hair in becoming softer, shiny, looking healthier and volumised. This conditioner includes good botanicals and pro-vitamins but excludes phthalates, SLS and parabens. Directions: After shampooing, apply conditioner to hair from root to tip. Rinse. For best results, shampoo with Jason Tea Tree Shampoo. Caution: For external use only. Keep out of reach of children. Avoid direct contact with eyes. If rash or irritation occurs, stop use and consult a physician. Aqua (Water), Cetyl Alcohol, Stearyl Alcohol, Glycerin, Cetearyl Alcohol, Cetrimonium Chloride, Butyrospermum Parkii (Shea Butter), Melaleuca Alternifolia (Tea Tree) Leaf Oil*, Orbignya Oleifera (Babassu) Seed Oil, Persea Gratissima (Avocado) Oil, Simmondsia Chinensis (Jojoba) Seed Oil*, Triticum Vulgare (Wheat) Germ Oil, Aloe Barbadensis Leaf Juice*, Calendula Officinalis Flower Extract*, Chamomilla Recutita (Matricaria) Flower Extract*, Citrus Grandis (Grapefruit) Fruit Extract*, Equisetum Arvense Leaf Extract*, Humulus Lupulus (Hops) Extract, Salvia Officinalis (Sage) Extract, Urtica Dioica (Nettle) Leaf Extract*, Amodimethicone, Behentrimonium Chloride, Biotin, Citric Acid, Hydrolyzed Wheat Protein, Hydroxyethylcellulose, Panthenol, Polysorbate 60, Retinyl Palmitate, Tocopherol, Tocopheryl Acetate, Alcohol*, Benzyl Alcohol, Potassium Sorbate, Sodium Benzoate, Benzyl Benzoate, Hydroxycitronellal, Hydroxyisohexyl 3-Cyclohexene Carboxaldehyde, Fragrance (Parfum) *Certified Organic Ingredient. The Jason Tea Tree Oil Therapy Conditioner - Normalising - 236ml product ethics are indicated below. To learn more about these product ethics and to see related products, follow the links below. 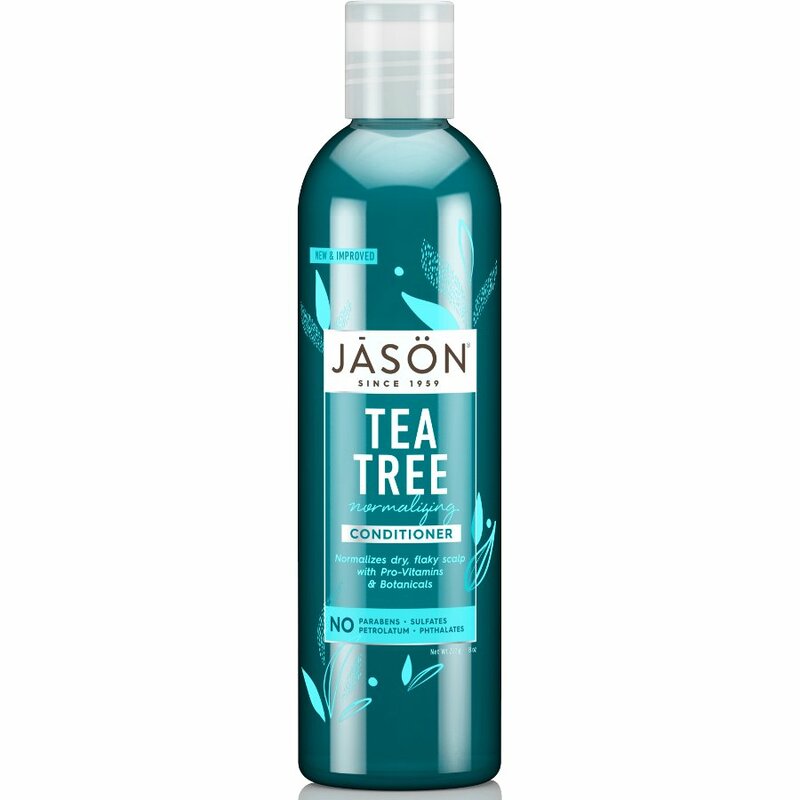 There are currently no questions to display about Jason Tea Tree Oil Therapy Conditioner - Normalising - 236ml.